The temperature in North Carolina has been dropping and in some parts even snowing and winter is just getting started. The last thing you want to be spending money on this Christmas is broken pipes and water damage so here are some great tips to keep in mind. 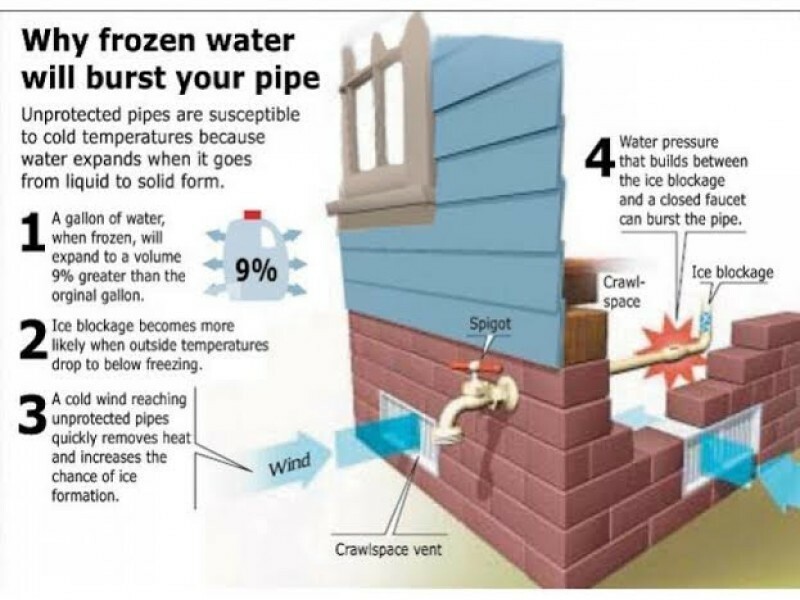 Water freezes at 32 degrees Fahrenheit, but indoor pipes are somewhat protected from outdoor temperature extremes, even in unheated areas of the house like in the attic or garage. As a general rule, temperatures outside must drop to at least 20 degrees or lower to cause pipes to freeze. Frozen water expands around 9% bigger than it’s original water form. If your Pipes form ice in a part of them the water between them and a closed faucet can build water pressure and can bust the pipe. So the most important things to know is how to prevent this from happening when temperatures drop down to 20 degrees or below. 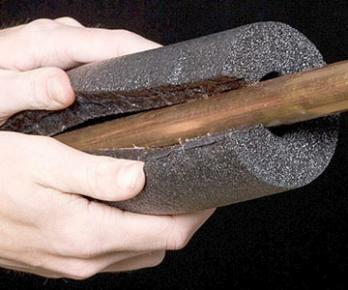 Depending on the age and location of your home will determine how susceptible your pipes are to freezing. You can add a simple insulation to your water pipes that come in many forms including heat tape that actually plugs in and heats your pipes. 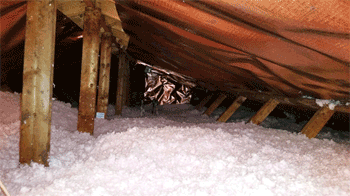 For pipes in the attic, basement, and crawl spaces you may want to check how good the insulation in your home. To prevent your pipes from bursting, open up your faucets to a slow dribble when temperatures outside drop. This will relieve the pressure inside the pipes and can help allow a slight flow to help prevent freezing. This helps warmer air get to your pipes and helps them not get cold enough to freeze. Remember to keep your heat on at least to a minimum even if you are away from your home.